High performance street pads for aggressively driven sport models. Quiet, low dust formula reduces dusting by 60-90%; washes away easily. Good cold bite that improves with heat. 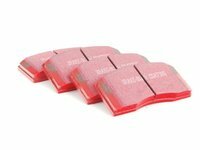 Brake friction material compound includes Kevlar with ceramic particles for above average pad life.These hard wearing pads may require an extended bedding process, up to 1000 miles. The pads have a special break-in surface coating that conditions the rotor face as it beds.To ensure maximum performance, please bed new pads correctly. 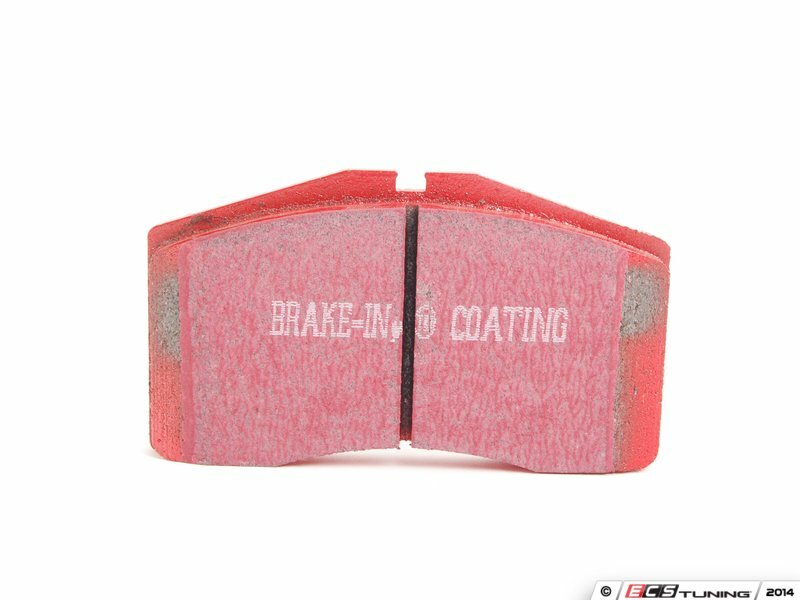 Proper bedding transfers a thin layer of brake material from the new pads to the rotor braking surface. 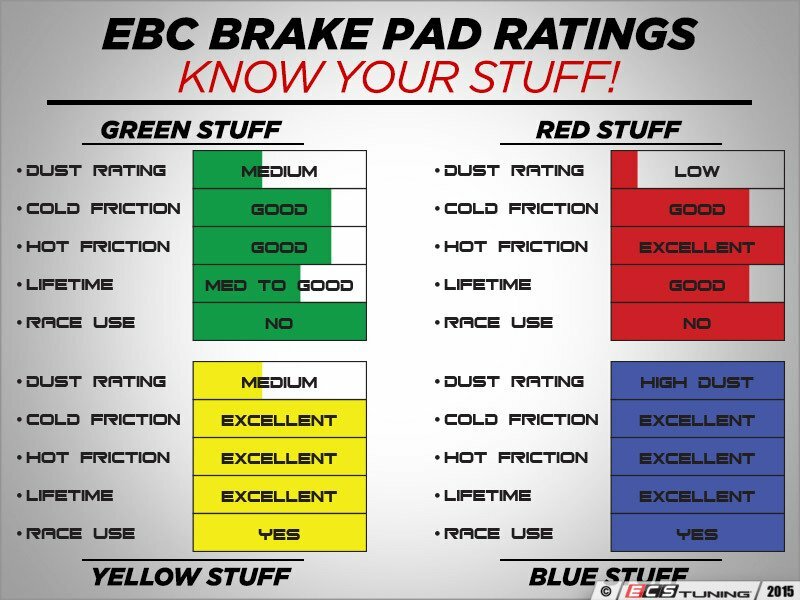 Bedding improves brake performance with less dusting, makes pads last longer, improves pedal feel, and reduces or eliminates brake noise.